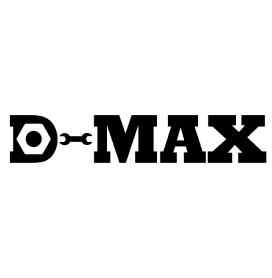 For reliable and sturdy boys' school shoes, look no further than our range of D Max boys' shoes. With slip-on and easy-fasten options to choose from, there’s something for everyone below. When you send your little monsters back to school, you want shoes that are going to go the distance, won’t fall apart after one day and will keep their feet warm, comfortable and protected. That’s exactly what you get with these D Max shoes. We know how important reliability is when it comes to school shoes and here at Shoe Zone we only stock brands that we know and trust across the board. But when it comes to our school shoes, we’re only interested in brands that have a reputation for making hard-wearing shoes that will go the distance. That’s exactly why we have a range of D Max boys’ school shoes below for you to shop. 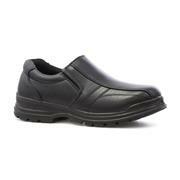 They give you high quality at low price which is exactly what you want from a pair of school shoes. For more school supplies, head to our back to school shop where we have ranges of lunch bags, school bags and kids' plimsolls. If you would like to shop around our different ranges of boys’ shoes, we also have stellar lines of boys' trainers, boys' slippers and boys' boots, all at competitive prices. We offer free & fast delivery on all of our products and if that’s not quick enough for you, you can also click & collect for free at one of our 500 UK outlets. Save time and money when you shop at Shoe Zone. 1 products from £9.99 to £9.99.